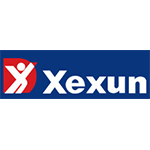 Shenzhen Xexun Technology corporation was founded in 2002 in China. The core areas of activities are the development of stationary and moving units tracking solutions, personal and pet GPS-trackers, automobile controllers and GPS-watches manufacture. At the moment the company is rapidly growing, which is determined by considerable investments into research and development.